We leave you with section and catalogue of painting 2 K machines)mixing 2K equipment). See more details and all the sales prices of our products and accessories to your phone 976144898. 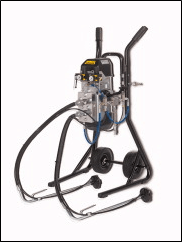 Cobra 2K is an innovative pump specially designed for processing polyester product in the process AirCoat. During processing as they gather together and homogeinizan resin with hardener (component 1) and resin with Accelerator (component 2) ready-mixed in a mixing ratio 1: 1. This ensures that only the amount of product that is actually processed to always mix. Components 1 and 2 pre-mixes can be stored without problems for long periods. Cobra 2K is an ideal system, simple and economical for the professional application of polyester. The TwinControl WAGNER is a singular team, for processing two-component coating materials. 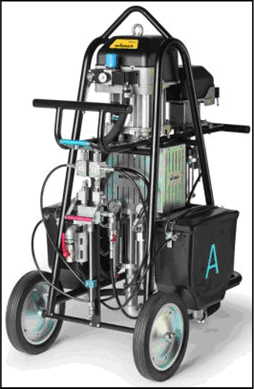 Whenever you require great flexibility, a mobile use and few changes of painting, the TwinControl stands out for its high profitability, its compact design and easy handling. It is extremely suitable for a range of applications, as for example the processing of highly viscous materials or large yields of transport. Flow measurement without contact with the product, using magnetic lifting sensor patented and together with excellent pumps WAGNER IceBreaker, They offer unparalleled accuracy and reliability. The cleaning process controlled fully automatically, It is part of the overall concept that favors management, like the simple adaptation of equipment parameters to the corresponding application. 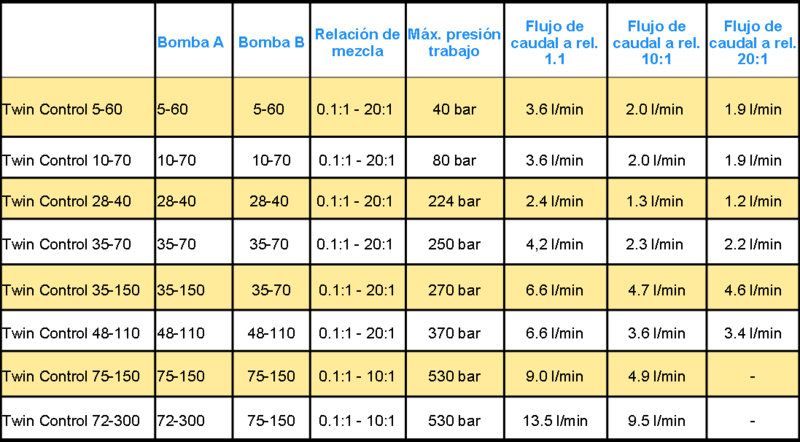 Recommended pump speed 30 cycles / min. up to 500 bar and 5,7 L/min. Optional pump cleaning and heater set. Mixing block, hose and easy cleaning guns. That allows to work with times more short of catalyst. It can also be used with remote mixer. You can choose sections of fluid components A and B on the mixing ratios 1: 1, 2: 1, 3: 1 and 4: 1. Spacious and stable product containers of 27 l with a cross-section of suction wide and easy to clean. Robust shopping carts with large wheels and hooks for crane and space for additional and accessory components. Heater (optional) product to improve spray for high viscosity products.